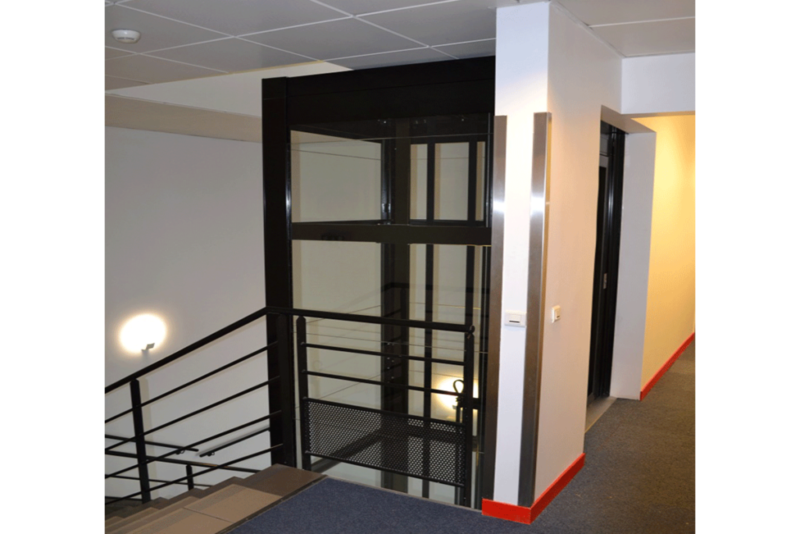 E2PR helped a telecom operator install a wheelchair lift for the disabled at its Saint-Denis site. As part of a relocation plan, a telecom operator needed to move a few of its staff members from one of their old sites to a new one that was not handicap accessible. One of the employees affected by this relocation was a person with reduced mobility and the office he was supposed to move into was located on the first floor of a building with no elevator. 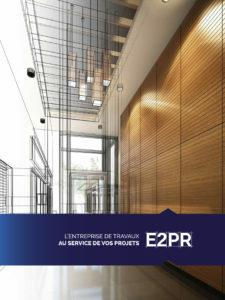 E2PR advised the telecom operator throughout the design and implementation phases. 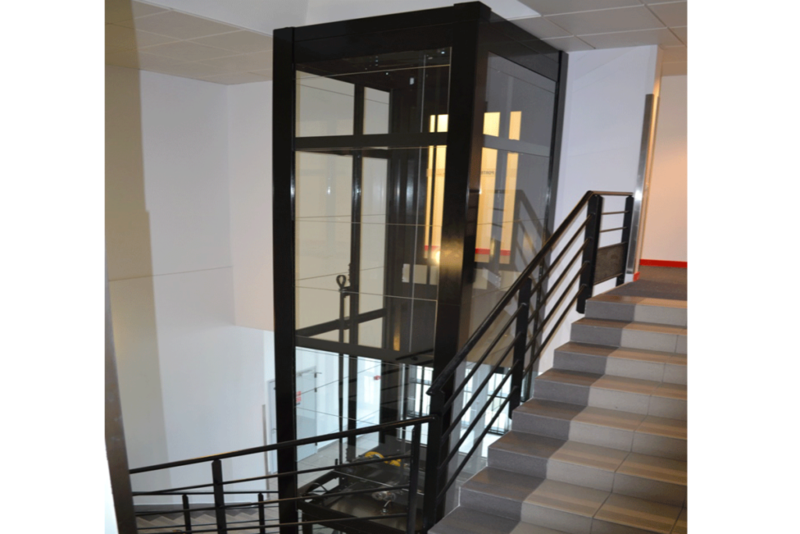 The building, which was higher than standard, meant that a special lift needed to be put in place and an opening needed to be created on two of the loadbearing interior walls. First a feasibility study was commissioned, which led to the draft of a preliminary design followed by that of final design. The budget for the construction work was set and a final valuation was done. 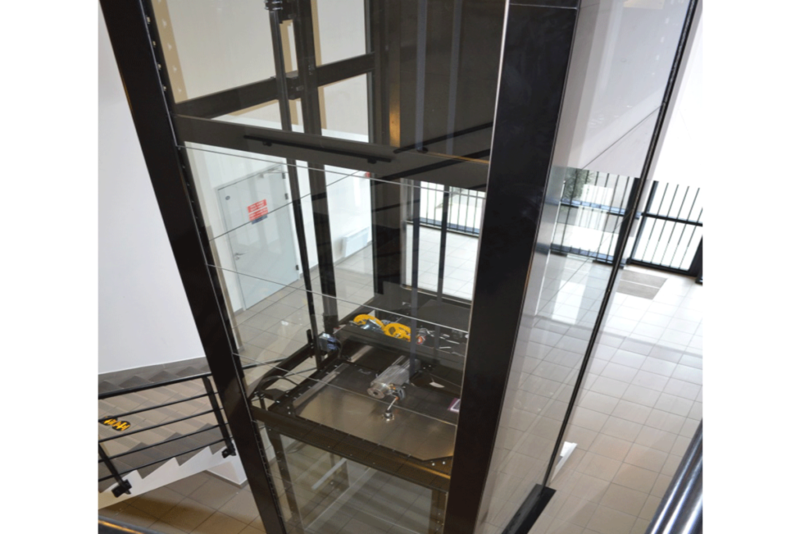 Given the tricky layout of the entrance hall, E2PR recommended installing a VIVALIFT, a one-of-a-kind elevator manufactured by a company called Ermhes. 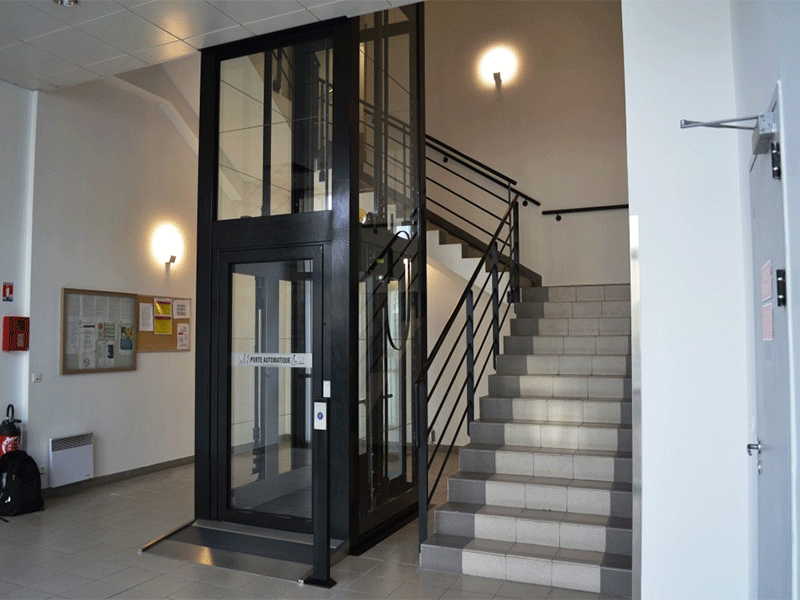 These elevators can be installed in non-standard locations because they have been specifically designed to fit into any space. 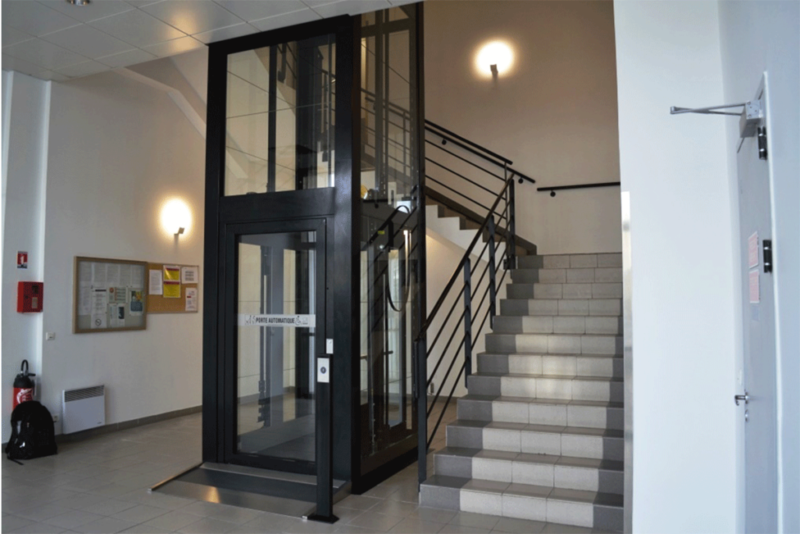 E2PR took care of the entire installation work and was thus able to install the VIVALIFT in the middle of the entrance hall without damaging its surroundings.